Edinburgh, Scotland — A pioneering Scottish engineering design specialist has become one of the first independent consultancies to exploit the advantages of IDEA STatiCa, the first software in the world that can design and check all steel connections and joints regardless of complexity. Applied Engineering Design (AED), which has offices in Edinburgh and Bath, is one of the few smaller firms to offer clients the revolutionary system which designs and checks welded or bolted connections, 2D or 3D joints, anchoring or footing of all topologies. 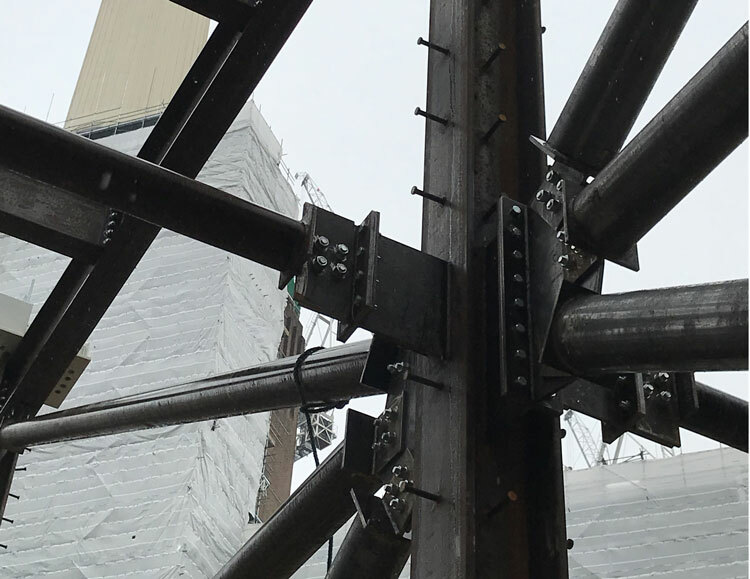 AED is using the technique on a major project for the multi-billion-pound Battersea Power Station development in London, which is providing 4,000 new homes on the south bank of the River Thames. Together with its client Icon Fabrications, AED has been tasked by the Robert Bird Group with creating a high-level temporary roadway at the site which is capable of carrying heavy construction traffic. Once its use as a site connection is finished, the structural beams and columns will be encased in concrete and flats will be built on top of the deck.